Previously we have established that original HP ink cartridges have at least 2 levels of protection: genuine labels and “best before” dates. How about the toner cartridges? Monochrome laser is the most common printing technology for offices. 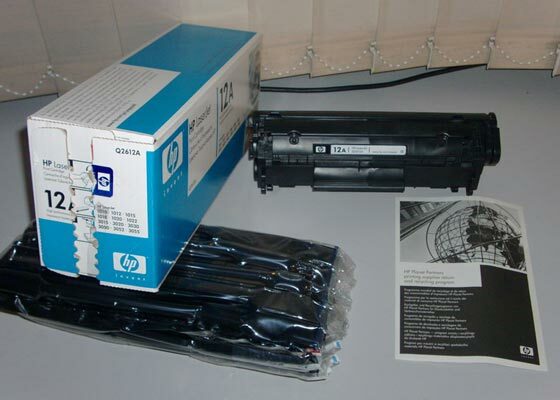 According to HP, replacement of a toner cartridges renews 2/3 of the whole printing mechanism. So it’s worth making sure the cartridge you buy is not a freud. The very cartridge always has a protective tape that separates toner hopper from magnetic roller. In some cartridges, this tape may have a plastic tip soldered to the cartridge case. As it does in C7115A, for instance. Another important level of protection is production codes drawn on both the box and the cartridge. It is allowed that first 5 symbols of the production code on the cartridges box match first 5 symbols of the code on the cartridge inside the box. The difference in ending symbols should not be taken as a sign of forgery. Knowing these 4 distinctive signs you can easily tell an original toner from a fake. 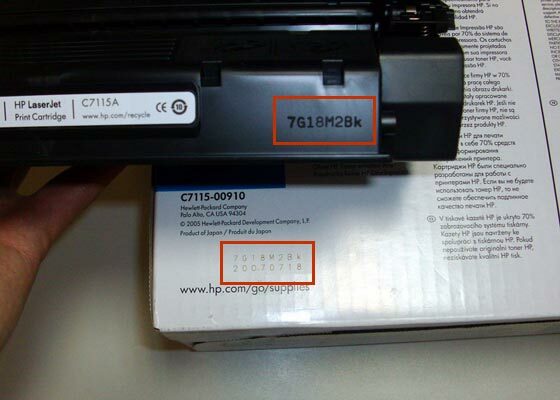 And remember, there is always a reliable source of original HP toner cartridges at hand. Take care and don’t let yourself be tricked! This entry was posted on Friday, April 18th, 2008 at 5:05 am	and is filed under cartridges, HP, toner. "Canon PIXMA iP100 Mobile Printer"